Our awards – Kunság-Szesz Zrt. We feel it important to have our drinks take part in competitions to strengthen our professional commitment and our place in the market. 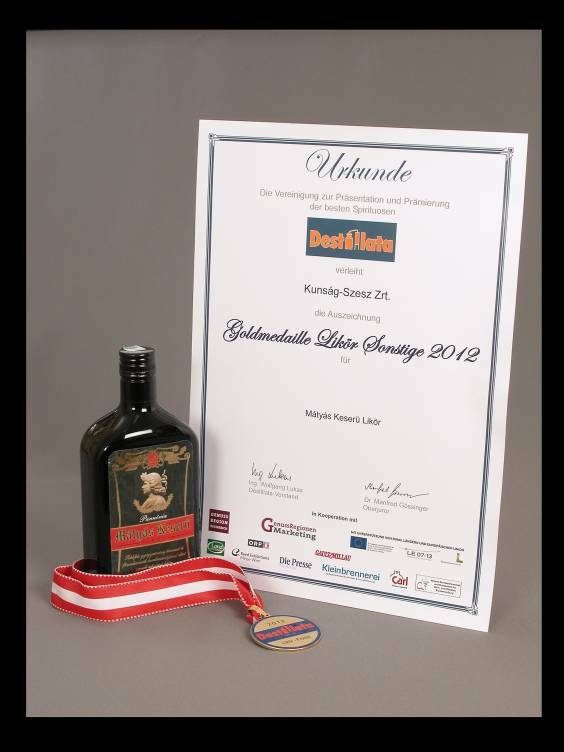 Our main awards include Pálinka Excellence awards and we are proud of our drink which has been named “official grape pálinka of Bács-Kiskun County” for 2 years. Our premium quality products include Mátyás Bitter Liqueurs and Mátyás Honey-Apricot Liqueurs which were given “Quality Food from Hungary” trademarks in 2012. 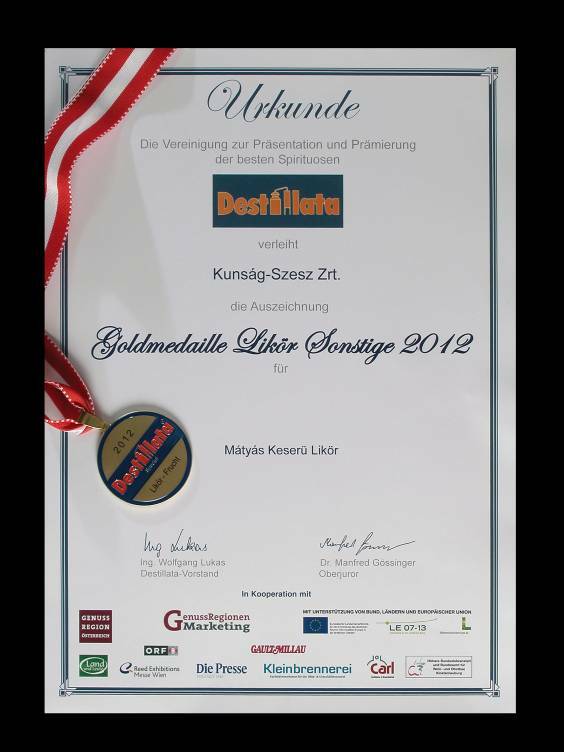 We are proud to have won a gold medal for Mátyás Bitter Liqueurs and a silver medal for Mátyás Honey-Apricot Liqueurs at Destillata International Fruit Spirits Competition held in Tyrol in 2012. 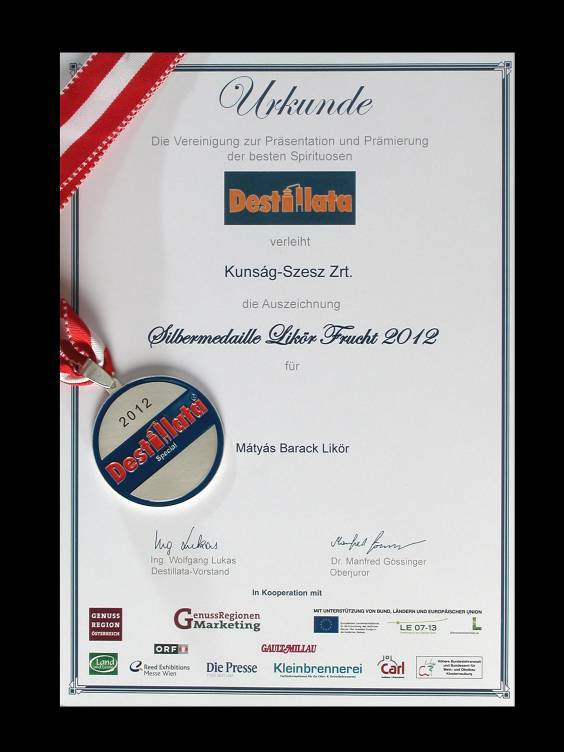 Our company was given Business Superbrands award in 2011. Our premium quality products include Mátyás Bitter Liqueurs and Mátyás Honey-Apricot Liqueurs which were were given ``Quality Food from Hungary``trademarks in 2012. 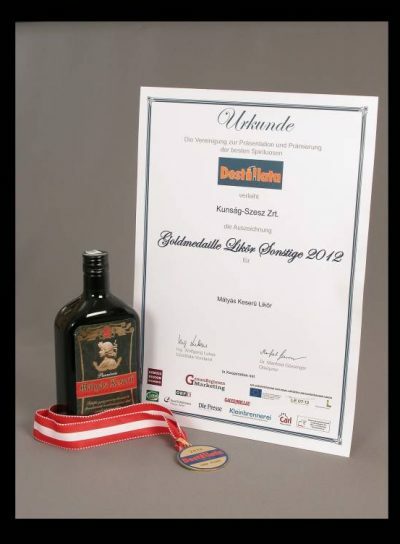 Our main awards include Pálinka Excellence awards and we are proud of our drink which has been named ``ooficial grape pálinka of Bács-Kiskun County`` for 2 years. Be the part of Mátyás lifestyle!